I was searching the internet for ideas that you/I could up cycle a dresser. 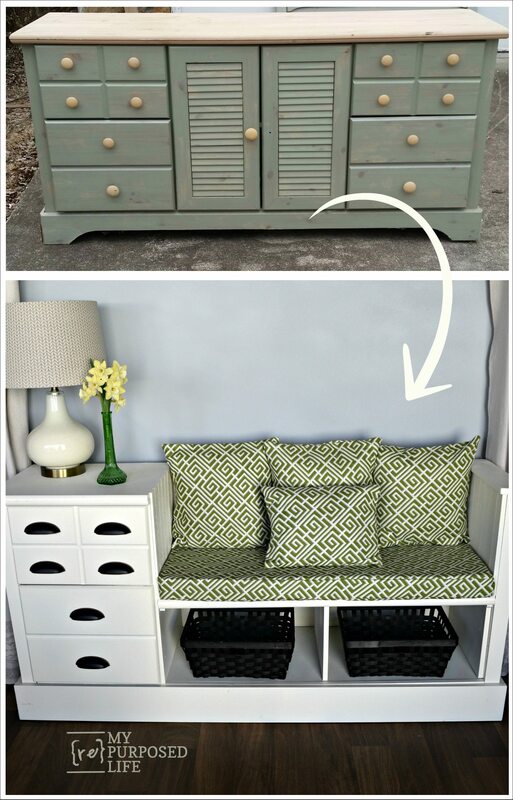 I love that you can take a thrift store, garage sale old dresser and up cycle it into something else. 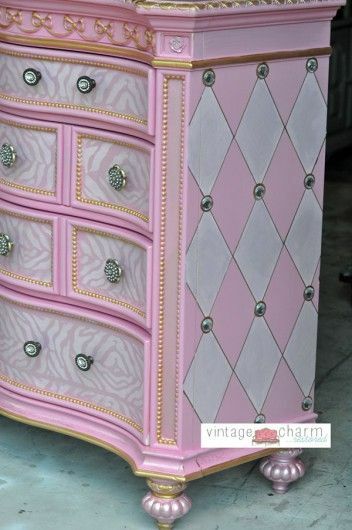 So the next time you see a old dresser, grab it, even it’s the ugliest dresser you have ever seen. 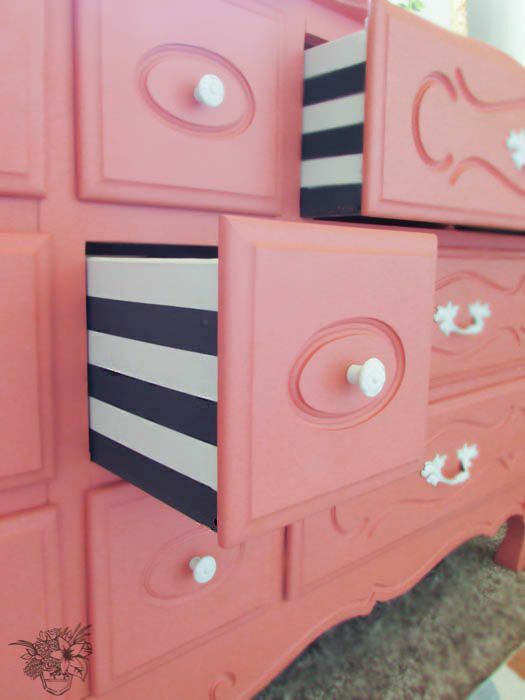 Even if it’s missing knobs or even a drawers, you can always do something with it!!! 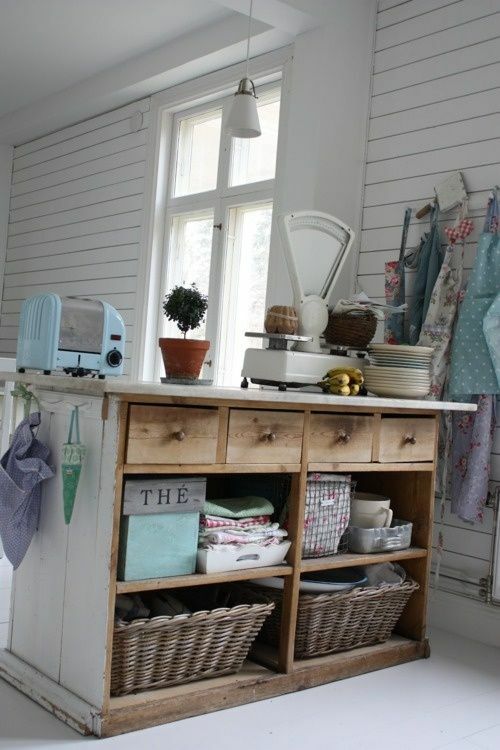 Even if you see a drawer all by itself, it can become something useful and a conversation piece all on it’s own. 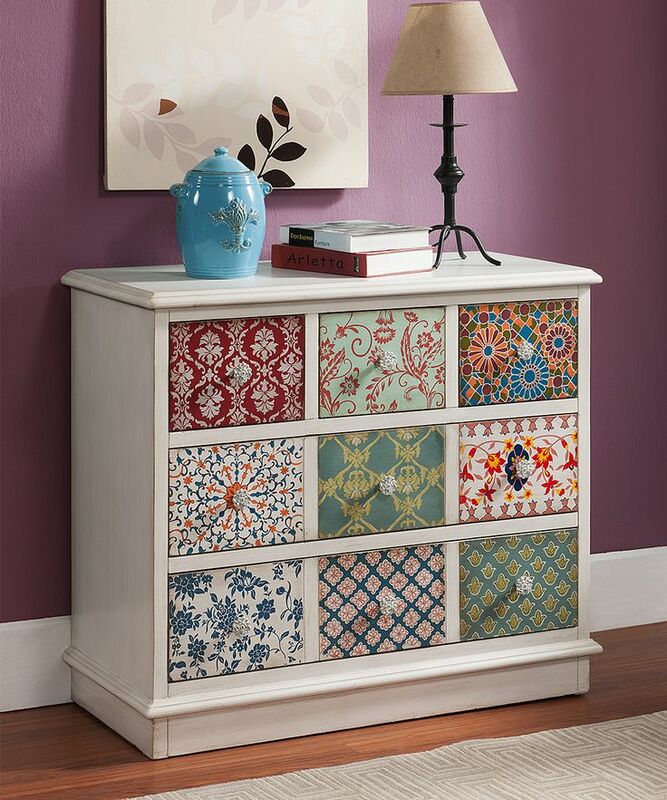 The next is my favorite….now I am on the lookout for a dresser! The dresser with the plants is a favorite of mine. And here are some fabulous ways to add a special ‘something’. 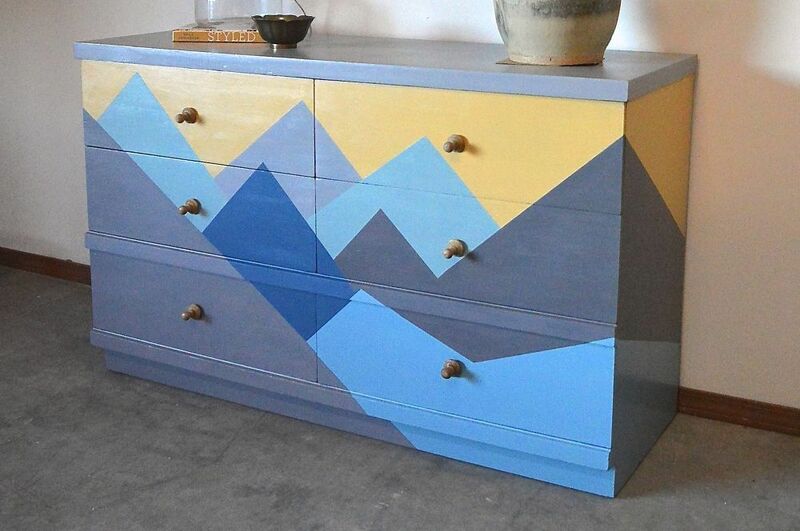 Painting stripes on the sides is a fabulous idea…you could also wall paper the outsides or even in the insides of the dresser. This next one is sooooo pretty! I saw the following wallpaper at Walmart. $29 For a roll. I happen to really love this design and plan on using it on a wall in my bedroom. So what do you think? 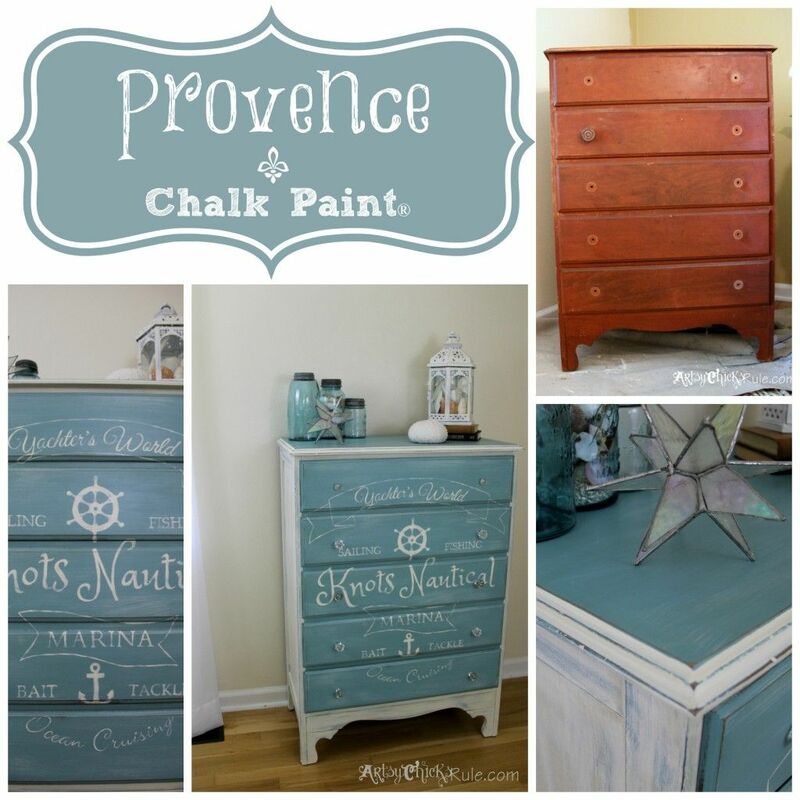 Are you ready to get your mojo on and try making over your dresser. 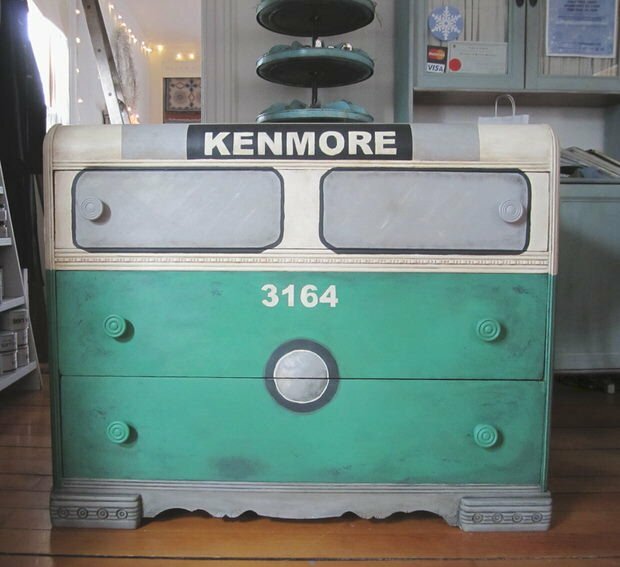 Or even better….keep your eyes out for one at a garage sale or thrift store. Thank you for looking! I hope I gave you some ideas! Great ideas. I especially like the first picture of the counter/work station. It is a pretty awesome idea! This is a wonderful idea for using what you have, or what is old. Exactly Rubie! I’m on the lookout! Did you sign up for the monthly giveaway? I just reposted it. I am now in search of a old dresser. I do reviewing for some large companies and I just recieved a dresser to review. It’s so pretty but oh how I would love to turn it into something else. I’m thinking putting plants in the drawers and potting supplies in the cabinets. I just hate to put it outside. It sure does! If no one wants it, I will do that with it! Keep an eye out! Have you signed up for the April Monthly Giveaway yet? I really like the per feeder ones! All of them are adorable, but I love the drink bar. Isn’t that bar nice! Thank you Dolly! How is your weather over there…way over there? 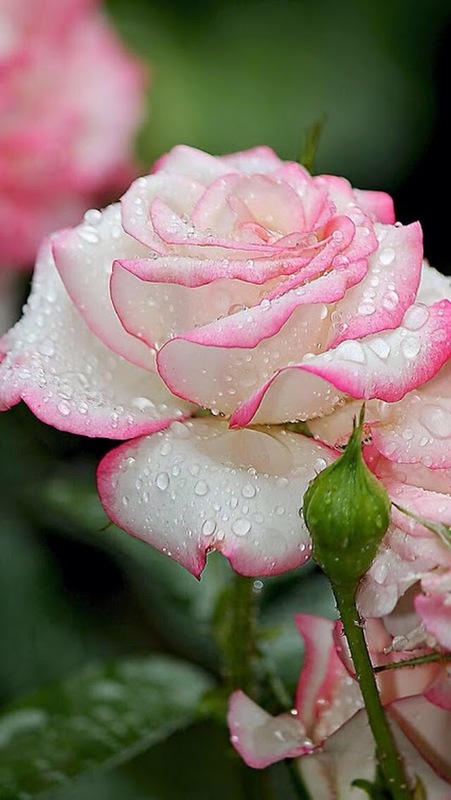 Oh, thank you for a beautiful rose, dear friend! And I’m smiling ….do you have a dremel? You know what Dolly!! He should get out that tool…you would love it Dolly. It gets your creative mojo on! Linda darling, do you hear what you are saying? “He should get out that tool”? You are giving my readers dirty thoughts! Shame on you, lady! Dirty thoughts…hogwash!!! 🤣I can’t help it if your readers minds are in the gutters!! 😂😂 I just knew when I said it, I would here something back!! I thought you knew I was playing with you! Oh no.. I never want to offend people by my funky sense of humor, especially my dear friends! Are you serious??? I love your sense of humor!! I brightens my heart with smiles. I am so glad! Love you lots, darling! You too honey!!! Wish we were closer. I am officially in heaven! Seriously??? Then I will have to come up with more great ones…just so your mind stays in that wonderful place. Hope your pain is mild today honey. Some of these are so amazing. The bathroom sink vanity looks very high-end. hard to believe it was a salvage! Thank you so much! Yes, it is really amazing what you can create with what you find at a thrift store or garage sales. ☺️❤️️ Thank you for looking and have a great weekend! This post was great timing. 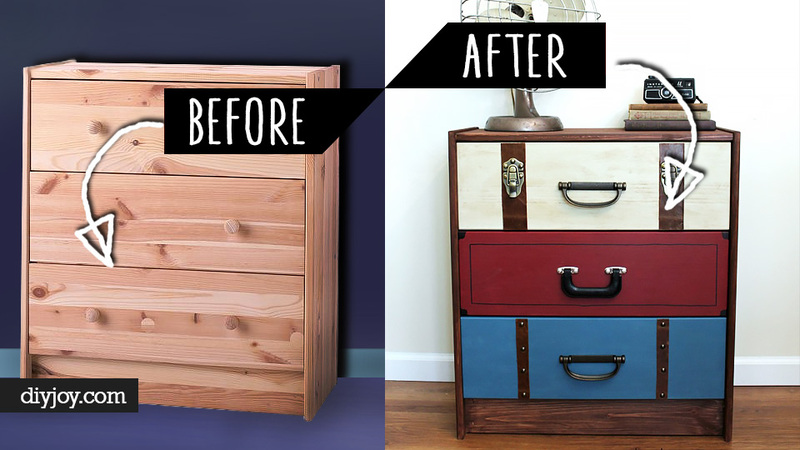 I have an old dresser and I’ve been trying to think of how to repurpose it. 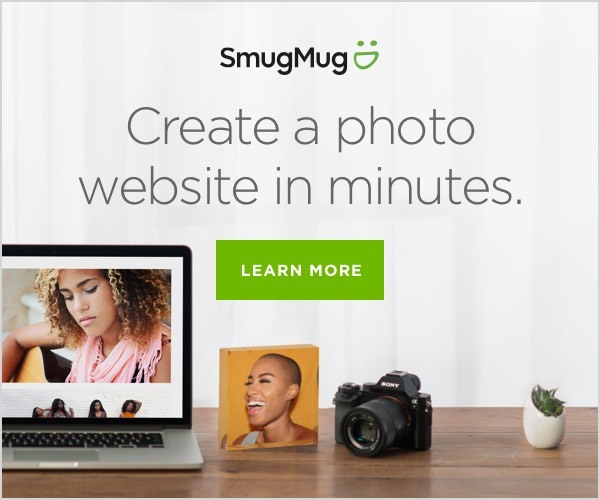 It’s different than any of the ones you featured, but your post has some ideas percolating! I don’t currently have a picture and can’t take one at the moment. I can try to describe it though. It’s basically rectangular. It has 6 drawers with each side having one small drawer and two large drawers. The front of the small drawer on the left side is broken off although I do have the piece to it. It is quite old (50 years or older?) It also has a small amount of water damage around it’s bottom, particularly on the sides. Can you sand down the watrer damage or is it warped and damaged through and through? Yes, I believe the damage can be sanded. It’s minimal, but currently noticeable. I don’t believe it’s warped through and through since the dresser isn’t rocky. Oh, then it’s bones are perfect! What do you want to do with it? Keep as a dresser, and paint? I’m not sure what I want to do with it…that’s the problem. LOL. I don’t necessarily need it as a dresser and my space is quite limited. Do you own the house? That’s great, you’re not limited to possibilities. Bathroom vanity or kitchen Island, I made a coffee bar out of one. Do you need an entertainment console, for your living room or guest room? You can turn it into so many gorgeous pieces. 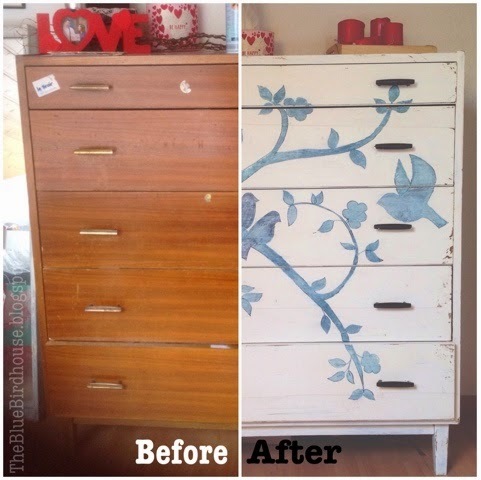 I found this you can check out for ideas: https://www.google.com/search?safe=active&rlz=1C1SQJL_enUS823US823&q=diy+dresser+upcycled&tbm=isch&source=univ&sa=X&ved=2ahUKEwi4qZ6t3qzgAhVnCTQIHS0wDOkQ7Al6BAgEEBE&biw=1517&bih=695 Copy and paste into search. I am sure you will find something. Need any help, just ask! Thanks. I will check it out. I thought about the kitchen, but not sure there is room and the kitchen hasn’t been renovated yet. The bathroom is a possibility as is the entertainment console. I have other ideas as well…but just not sure what I want yet! That may be a good idea. I’ve been thinking about a window box seat…and that would be close. Exactly, with storage underneath for throws, etc or just storage! Wow thanks for all these fun ideas! Wow, they all look so fab! I love these looks, ❤️️❤️️ Thanks Arlene! once we decide to yank our old vanity out i want a dresser vanity. hubz is a plumber so we will work together..hopefully it’s not hard. Hubby is a plumber? Awesome! That is so awesome your both learning how to diy together! That is sooooo special! Some people are so creative!! Loved seeing the transformations!